Prominent Las Vegas analyst Jeremy Aguero says the town might need to rethink its tagline as being the “Entertainment Capital of the World” to include sports as well. 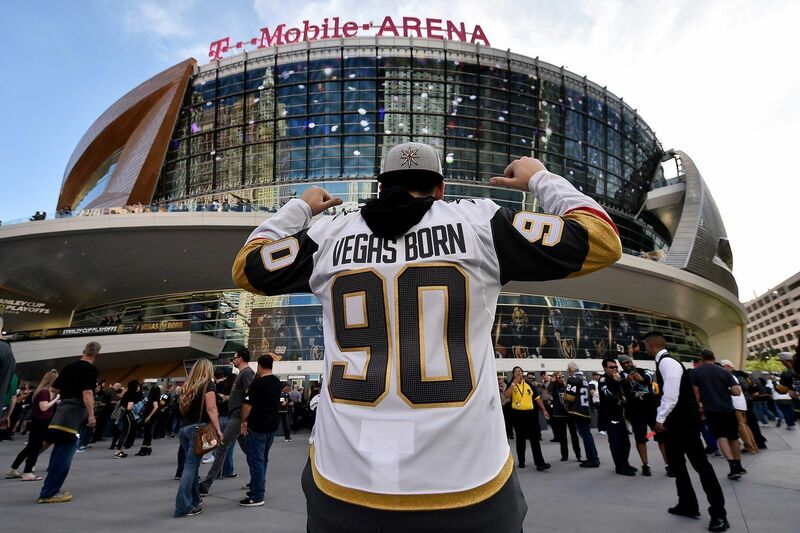 Aguero, a principal analyst at Applied Analysis, one of Nevada’s leading fiscal and policy research firms, says the NHL Vegas Golden Knights and 2020 arrival of the NFL Raiders are transforming Sin City into one of the country’s most sports-centric metropolises. We are well on our way to being the sports and entertainment capital of the world if we’re not there already,” Aguero said this week at Outlook ’19, an event co-hosted by the Las Vegas Global Economic Alliance (LVGEA) and UNLV Center for Business and Economic Research. Applied Analysis concluded that the Golden Knights, WNBA Vegas Aces, and Raiders will add $636 million to the local economy annually. Aguero said leveraging the sports industry is critical to growing other industries such as medicine, construction, retail, marketing, and transportation. The “Southern Nevada Sports & Entertainment Outlook,” which was commissioned by the LVGEA and released at Outlook ’19, found that Las Vegas’ T-Mobile Arena was the top grossing arena in the world between June 2017 and June 2018. The 20,000-seat venue plays home to the Golden Knights and Aces, as well as A-list concert acts and marquee sporting events such as the August 2017 boxing spectacle between Floyd Mayweather and UFC star Conor McGregor. According to the report, T-Mobile Arena, which MGM Resorts owns a 50 percent stake in, sold $164 million in tickets during the 12-month period. That exceeds revenues at other famed arenas such as Madison Square Garden in New York City and the O2 Arena in London. When the Raiders arrive in Las Vegas at their $1.8 billion stadium, Southern Nevada will be home to two of the big four major professional US sports leagues. The city isn’t ready to stop there. MGM CEO Jim Murren wants to bring an NBA franchise to the T-Mobile Arena, and there are also rumors that Caesars is considering demolishing its Aria resort to make way for an MLB ballpark. The reason people visit Las Vegas has changed in recent years. Per the Las Vegas Convention and Visitors Authority, 15 percent arrived specifically to gamble in 2013. In 2017, that number was just five percent. Vacation/pleasure remains the highest reason at 48 percent. Seeing friends/relatives is next at 14 percent, followed by the convention segment at 10 percent. Arriving specifically for an event such as a Golden Knights game represented just six percent of visitors in 2017. Analysts project that number will surge in the years ahead with more sporting options. The post Analyst: Las Vegas Not Only Entertainment Capital of World, But Also Sports Capital appeared first on Casino.org.